Edward ‘Ed’ Marshall, 86, of Upper Saucon Township died Saturday, Sept. 8, 2018 at his home. He was the husband of Eleanor H. (Hippauf) Marshall. He was born in Bethlehem on Sept. 24, 1931 to the late Arthur and Lois (Tromans) Marshall. Ed was a draftsman in Plant Engineering at the former Bethlehem Steel Co. for 32 years and later for five years at Mack Truck until his retirement. He was a member of Assumption of the BVM Catholic Church, Colesville, where he was a past lecturer along with his wife; past president of Southern Lehigh Jaycees; board member of the Bethlehem Community Concert; past chairman and 2006 Grand Marshal of the Coopersburg Halloween Parade; and a past Southern Lehigh Little League coach. He was a Philly Phanatic and enjoyed playing the piano and especially teaching others how to play. Ed was a wonderful son to his parents, a loving husband to his wife and a supportive father to his children and granddaughter. Through his life’s journey, he was courageous and never gave up. He truly was a person who lived life to the fullest and followed his faith. In addition to his loving wife of 64 years; children: Carol A. 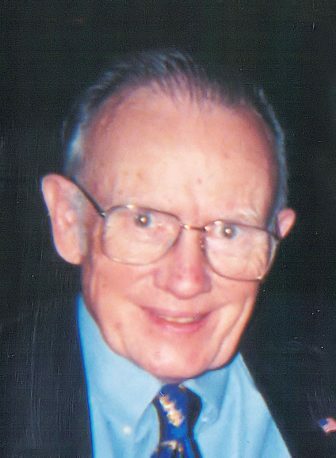 (Ron) Allen of Greene, R.I., John E. of Upper Saucon Township; granddaughter: Emily J. (Aric) Leddy of Emmaus. Family and friends are invited to call from 6 to 8 p.m. Thursday, Sept. 13, 2018 at the Heintzelman Funeral Home Inc., 326 Main St., Hellertown, and from 10 to 10:50 a.m. Friday at Assumption of the BVM RC Church, 4101 Old Bethlehem Pike, Bethlehem. The calling hour Friday will be followed by a Mass of Christian Burial at 11 a.m. The interment will conclude services at Union Cemetery of Hellertown. Online expressions of sympathy can be recorded at www.heintzelmancares.com. In lieu of flowers, memorials may be made to the SpiriTrust VNA, 402 W. Chew St., Allentown, PA 18102, his church (zip code: 18015) and/or the American Parkinson Disease Association, 135 Parkinson Ave., Staten Island, NY 10305.